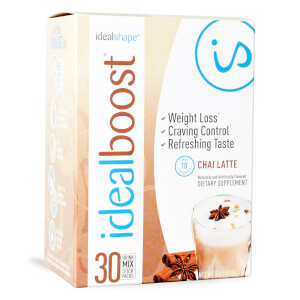 Our weight loss drinks are delicious drinks to help you to lose weight and keep you full in-between meals. 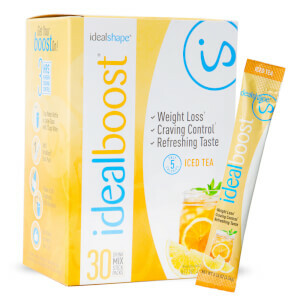 Each sachet is powered by green tea and caffeine to help charge you up and boost your fat loss! 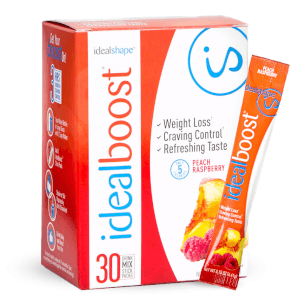 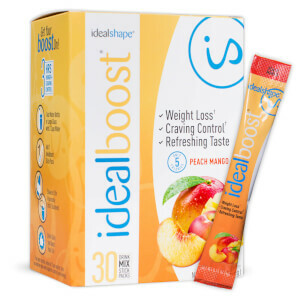 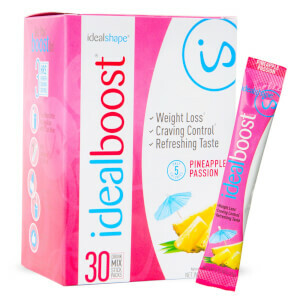 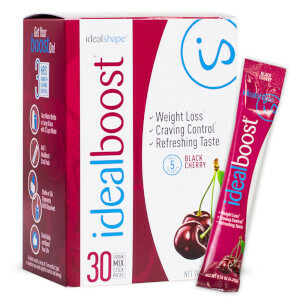 IdealBoost also contains our signature hunger-blocking blend to help you curb your cravings for up to 3 hours. 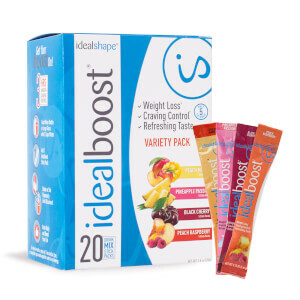 The IdealShape drinks range comes in delicious flavors, like Pineapple Passion, Iced Tea, and Peach Raspberry. 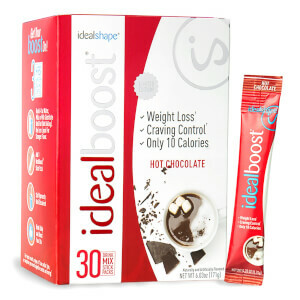 But if you're not sure which flavor is your favourite, try our variety pack with 20 mixed sachets.